In response to the #MeToo movement, a small group of Vermont lawmakers is preparing changes to the way the legislature handles sexual harassment within its ranks. The lawmakers plan to put forward a single policy for the entire Statehouse, create an informal avenue for complaints and authorize independent investigations. A key issue remains unsettled: When does the public have a right to know about complaints lodged against their elected officials? The legislators, who hope to pass a new sexual harassment policy by the end of the session, aren't alone in doing so. So far this year, at least 11 state legislatures have updated their sexual harassment policies, and many more are considering revisions, according to Jonathan Griffin of the National Conference of State Legislatures. This wave of change, which Griffin called "unprecedented," was spurred by the recent cascade of allegations of sexual abuse by powerful men, including celebrities, media figures, and politicians in Congress and many statehouses. In Vermont, a number of women who work in the Statehouse told Seven Days last fall that they have endured lewd remarks and, in some cases, unwanted touching. "If you want the million dollars, come to my office alone," one female lobbyist recalled a powerful male senator telling her. Both chambers already have policies that define sexual harassment and describe the process to report it. Nevertheless, formal complaints are rare. According to an Associated Press investigation, only two have been filed in the past decade. House Speaker Mitzi Johnson (D-South Hero), who disclosed that she, too, experienced sexual harassment earlier in her lawmaking career, pledged to put in place a "gold standard" for sexual harassment prevention policies. The goal, she said last week, is to make the process "easy and safe and welcoming." Six lawmakers — three from each chamber — who serve on the House and Senate sexual harassment panels have been meeting for months as an informal, ad hoc committee to devise a stronger, clearer policy. It would be subject to approval in both the House and Senate. The first significant decision they made was that the Statehouse should operate under a single set of guidelines and procedures, to provide victims with a simpler path to bring forward a complaint and have it heard. That won't change the fact that there are three different panels: A House committee adjudicates complaints against its members; a Senate one does the same; and a joint panel of reps and senators considers cases against legislative staff. Merging the House and Senate policies may seem like a modest step, but getting the two chambers, which proudly maintain distinct rules and traditions, to agree to adopt a single policy is no small feat. 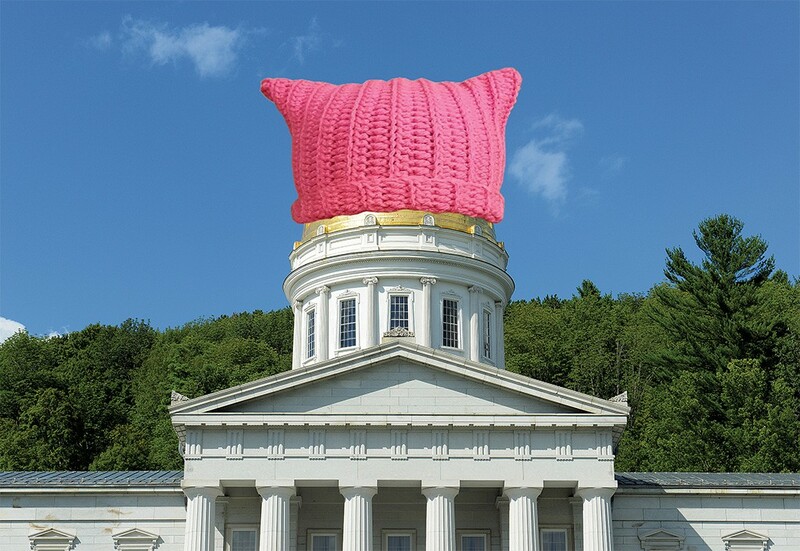 "That's huge," said Cary Brown, executive director of Vermont's Commission on Women, which was created to advance rights and opportunities for women. "It will mean that the expectations are much more clearly understood." Lawmakers also propose to remove some of the burden from victims. Existing policy in both chambers encourages a victim to try to "resolve issues informally" with a perpetrator before filing a formal complaint. The new policy would do away with that expectation. Karen Richards, executive director of the Vermont Human Rights Commission, which handles discrimination cases, commended the change, noting that "it really shouldn't be up to the person to have to tell you they're uncomfortable." The ad hoc committee is also proposing an avenue for victims who don't want to submit a formal written complaint to the entire panel. Instead, they could confide in individual members, who would review the options and, if asked, try to help resolve the problem informally. The proposed policy would allow bystanders who witness harassment to file a complaint, an option that doesn't currently exist, and it spells out possible penalties for harassment. They include counseling, training, removal from leadership positions or expulsion. Despite these changes, lawmakers concede they have yet to deliver the gold standard Johnson seeks. "We don't believe we have the perfect policy," said Senate Majority Leader Becca Balint (D-Windham), who chairs the Senate Sexual Harassment Panel. 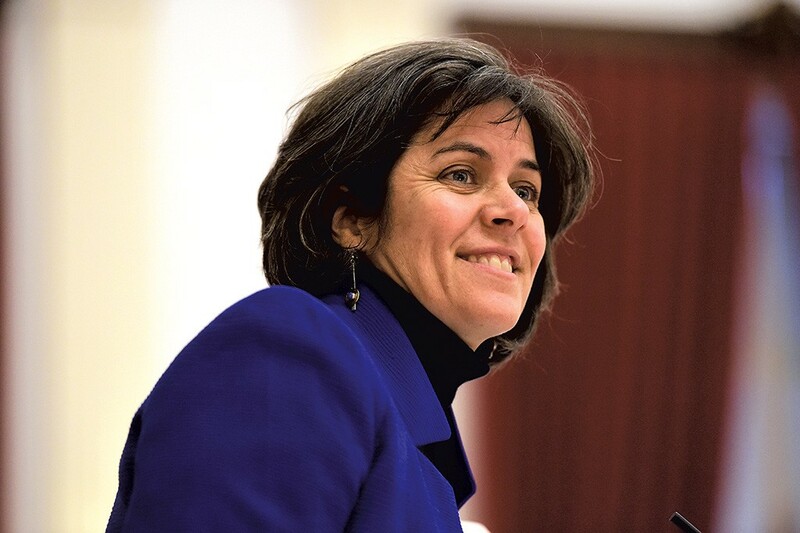 The task has proven more complex than expected, according to Rep. Mollie Burke (D-Brattleboro), who chairs the House panel. At the beginning of the year, Balint, Burke and Johnson all questioned whether the panels that hear allegations of abuse should be entirely made up of lawmakers. Concerned that people might feel uncomfortable appearing before a panel of their alleged perpetrator's peers — and pointing out that lawmakers have no expertise in such matters — the committee considered adding members of the public. But, according to Johnson, "there was some pretty serious pushback against that." One obstacle, Balint said, was the Vermont Constitution, which charges each chamber with overseeing its own members. Delegating that responsibility could be a violation, she said. For now, at least, lawmakers will retain sole power to police themselves on matters of workplace harassment. As a compromise, the group is recommending that the panels be empowered to hire an independent investigator. "There can be all the best and worst of family dynamics here in the legislature," Johnson said. "Having that independent, unbiased voice, I think, is very important." The group decided against creating an appeal process, concluding that either party in a complaint could take the case to an outside body such as the Human Rights Commission. One of the thorniest challenges has been determining how much of the panels' work should remain secret. In December 2017, Vermont Public Radio reported that someone had filed a formal complaint against a senator earlier that year. Balint told reporters the sexual harassment policy promises confidentiality and prevented her from disclosing any information other than that the complaint had been "resolved." To this day, the identity of the senator, the allegation and its resolution remain a mystery. Legislative lawyers also have raised questions about the near-total secrecy of the process. In a report earlier this year, they noted that "confidentiality protects the privacy of the complainant and the accused" but it "may also shield repeat offenders, disguise systemic problems, feed an impression that little if anything is done in response to complaints, erode faith in the policy and panel, and discourage victims from coming forward." "We all agree that it needs to be more transparent than it has been," Balint said last week. But she also suggested that victims might not come forward without an assurance of complete confidentiality. Lawmakers are concerned that frivolous complaints could become public, unfairly damaging their reputations. "I'd want to know if the person I was voting for was creating an uncomfortable and inappropriate environment," Johnson said. "At the same time, we don't want this to become a witch hunt." During an early morning meeting last Friday, the group of six debated the balance between confidentiality and transparency. Failing to reach a consensus, they decided to return to the issue the following week. They appeared to agree that cases resolved informally, unfounded complaints and panel hearings should remain off-limits to the public. But there were signs that lawmakers might move slightly closer to the sunlight. Sen. Joe Benning (R-Caledonia) made the case that "the moment [the panel] decides formal punishment is in order, that should be public information." Balint agreed. "The public is our boss," she pointed out.